Takayama Ryokan – In a world where Japan is now deemed the number one destination for many people around the world, it seems that every man and their cousin have paid it a visit and accumulated countless stories to tell of the wonderful country that’s as rich in history as it is in innovation. You probably would have heard of the beautiful castles you’ll likely encounter, the insane food tours you can participate in, and the incredible generosity and kindness of the locals, despite their often limited English language skills. You would have probably heard of the temples high up in the mountains that require a few days’ journey to get to, the onsens deep in the forests with only the wildlife as your companions, and you definitely would have heard of ryokans, the traditional Japanese Inns that everyone visits at least once during their stay in Japan to soak in the on-site natural onsens and wear yukatas and just generally be surrounded by Japanese wholesomeness (and if you haven’t, well, we’ll give you a crash course here: what is a Ryokan). What is a struggle is to find out where to experience the best of the best ryokans, and we’ve got you covered in that aspect. Takayama, a small city within the mountainous Hida region of Gifu in central Japan, is a paradise for those seeking to add an off-the-beaten path rural aspect into their itinerary. It’s wonderfully secluded, and Japan’s old-school charm is prominent throughout its streets as major efforts have been made to preserve it. 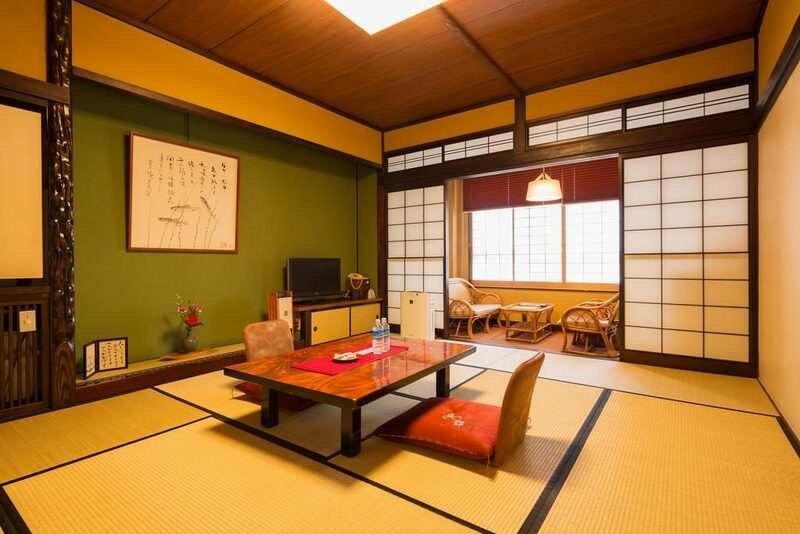 This, of course, has really set the tone for accommodation selections in the area, and ryokans will always come out on top as the number one style of housing that people would choose for Takayama. We’re talking no-frills, completely authentic, deep in Japan’s countryside, will-feel-like-you’re-living-in-an-actual-throwback-of-Japan types of ryokan. No market stallholders screaming, no car horns beeping in the distance, no distractions – simply just you and companions, and the beautiful surrounds. 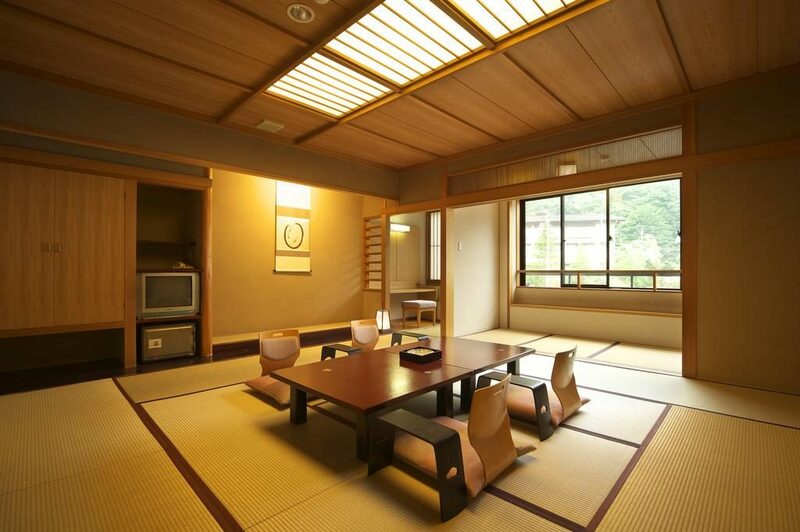 This ryokan is an exemplary accommodation that’s fit for a king and queen. Located only minutes away from JR Takayama train station, you’ll feel like you’re a world away from civilization and yet a simple stroll down the street or a short shuttle bus ride away will take you to Takayama‘s old Town. 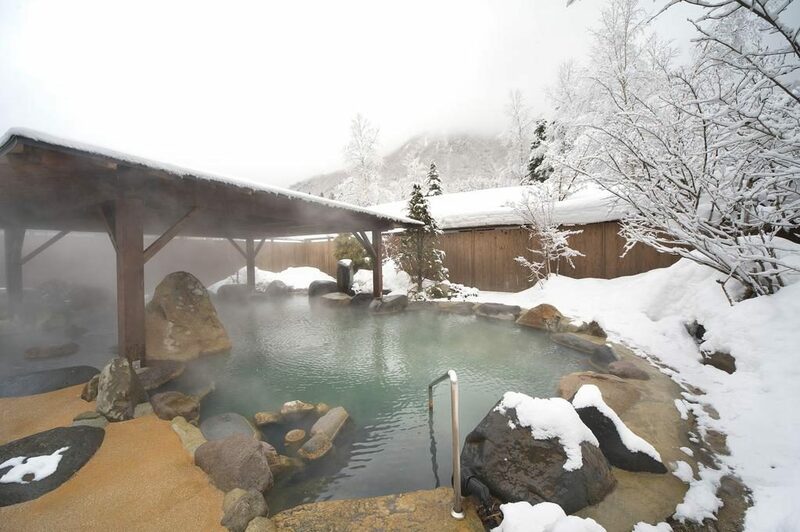 One of the hotel’s defining features is, of course, the spacious public hot spring baths that overlook Mount Norikura. They include private family baths can be reserved for free (but try and do this in advance, as they’re quite popular with the guests!). 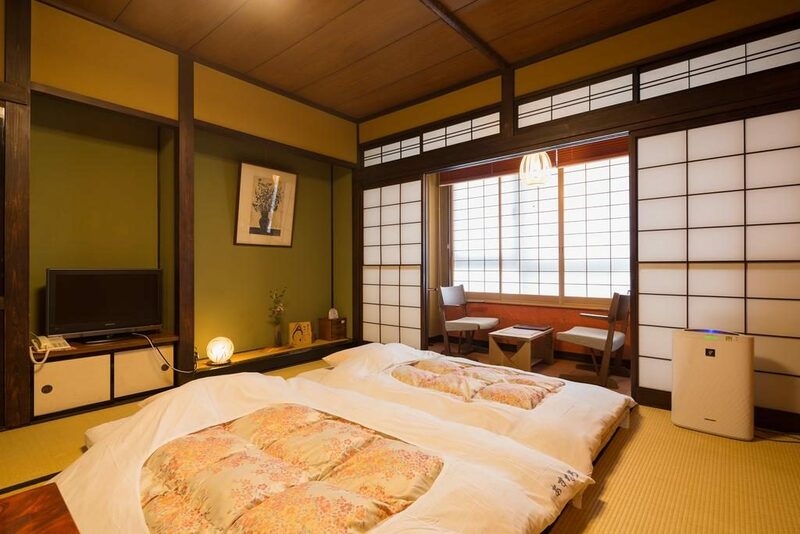 Whilst the traditional Japanese style rooms are fitted with tatami mats and shoji (sliding doors), they also feature air-conditioning and heating facilities, LCD TV, and private bathroom with a bath and toilets for your comfort. A delicious Japanese breakfast is included in the room rate. Why Guests Love It: “I really felt like as if I was in Japan. Breakfast was amazing with lots of local delicacies that I didn’t see anywhere else and staff who served it were authentically dressed and super polite. Booked a private onsen and soaked gazing over the treetop to ancient burial stones. Service is superb”, “The Japanese tatami rooms are spacious and beautiful, have a separate bathroom with shower and bath, another separate room for shaving and brushing teeth, etc”. Described by many guests as one of the most authentic looking and feeling ryokan, you won’t be disappointed staying in the Ryokan Asunaro if a quintessential Japanese sleeping experience is what you’re after. All the rooms are generously sized, with seating areas separate to sleeping areas. A relaxing, peaceful hot spring brings a peaceful ambience to the ryokan, and the stunning free yukata hire for women will add a flair to your stay. For your convenience, the busy morning market is only a 7-minute walk away, and Takayama’s Old Town is only 10-minutes away. Shirakawago Village is only 50-minutes by bus away, and you can catch the bus there quite easily, as it’s only located 5-minutes away from the ryokan. Why Guests Love It: “Thoughtful arrangements and warm attitude! Provided presents for each family member!”, “Location is a 3-5minute walk from the station and same distance to main shopping street. Easy stroll to many notable sites such as galleries, historic houses and parade float exhibits, and many eating places”, “Being able to choose the yukata you borrow was really fun. The onsen was really relaxing. Having been to a few ryokans previously, this was the best. Tonnes of original features, great food, wonderful staff”. The bedrooms in the Ryokan Hodakaso offer gorgeous views of the garden and pond surrounding it, which is one of their unique and best features. The futon bedding will be one of the most comfortable that you’ll ever sleep on, but if you’re after the Japanese feel without the traditional bedding style, there are also rooms which provide lowered Western-style bedding. There are generous-sized public baths available for men and women to relax and unwind throughout the day (and they’re separated by gender so don’t get too anxious!). If you’re driving, free parking is available onsite, however, the ryokan is an easy 3-minute walk from JR Takayama Station. Arriving early or leaving late? No problem, luggage store is available at the front desk. Why Guests Love It: “Great location, only a few minutes walk from the bus station and the old town. Plenty of great restaurants nearby”, “The onsen is just amazing. Large and nice room. The bedroom is very clean too, and with a panoramic view of the outdoors”, “I loved the authenticity of this hotel! Very nice entrance with Japanese furniture. For me, the highlight was the Japanese breakfast’. Winning awards across the ryokan category on TripAdvisor in 2014 is Takayama Ouan, a stunning ryokan located right in the heart of Takayama. 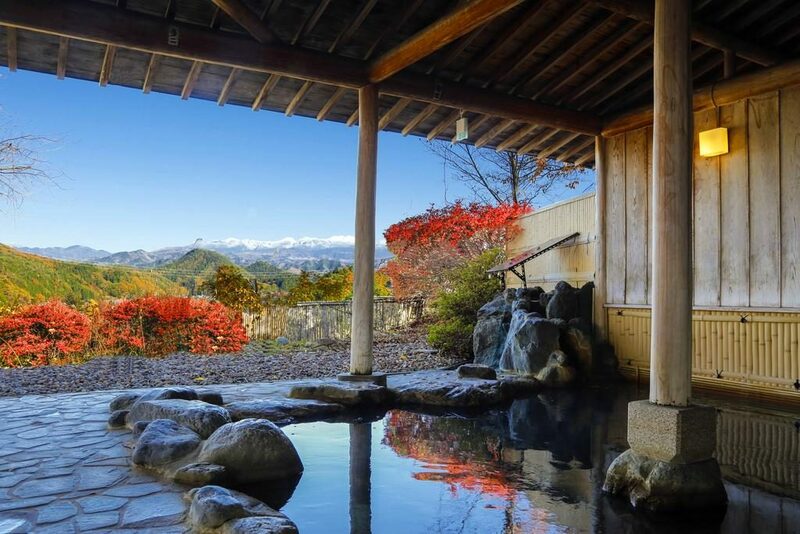 Stunning traditional Japanese designs are featured prominently throughout the accommodation, but the real selling point of this ryokan is the rooftop open-air natural hot-spring bath, complete with a backdrop of the city. There are also cozy family baths that can be rented for private use, which are complete with mountain views. Lastly, when you think they may be out of hot springs, there is also the large public bath which anyone can relax in (and it even includes a sauna!). If you’re after the ultimate experience, book in a rejuvenating massage at the on-site beauty salon for the perfect end (or beginning) to your day. The rooms are Takayama Ouan are quite unique in that they feature traditional Japanese tatami mat flooring, but have lowered Western-style bedding. There is also a private bathroom, flat-screen TV, satellite channels, a refrigerator and a tea-maker for your convenience. Why Guests Love It: “Nice, rich breakfast buffet. There are both public hot springs and three private rentable open-air bath rooms”, “Great location, very close to the train station and within walking distance to old town. Beautiful hotel with nice rooms and friendly staff!”, “A nice mix between a traditional Japanese ryokan and more mainstream ‘western’ hotels”. If there ever were a ryokan that you’d pick purely for their food (and everything else is just a massive bonus), then Hidatei Hanaougi would be it. Exquisite kaiseki cuisine prepared by the gentlest and skilled hands, served by wonderfully gracious staff – dining here is an experience in itself, and what’s even better is that both breakfast and dinner is included in the room price! 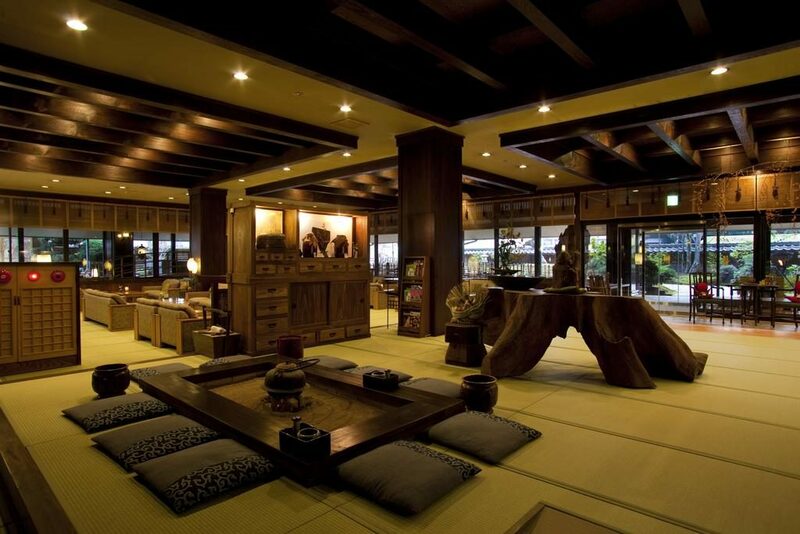 Step back into time as you enter this stunningly decorated accommodation that’s reminiscent of old Japan. 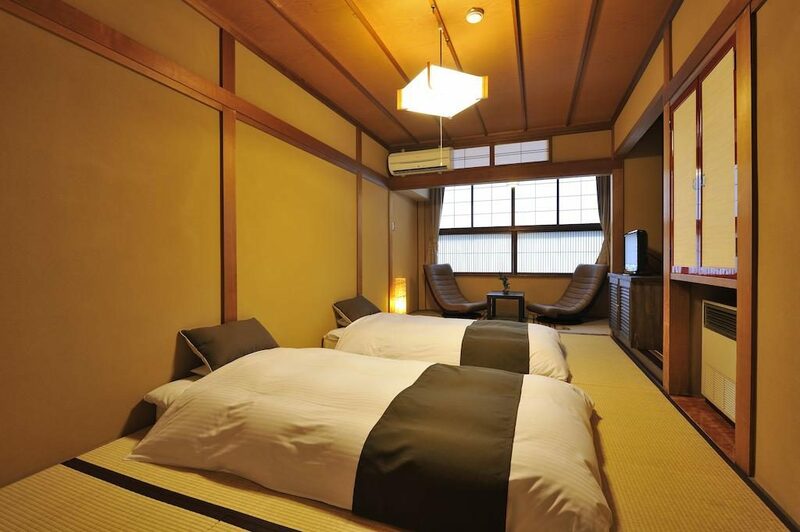 All rooms feature tatami mat flooring and futon bedding, and some even feature an outdoor hot-spring bath. If not, well, there’s always the gorgeous public bath you can use! Book in a massage at the on-site therapy service, take a walk in the picturesque garden, and don’t forget to bring home some souvenirs from the on-site gift shop to commemorate your time here. Why Guests Love It: “A little gem out of time. Even if outside was rainy and cold, the staff were warm and kind and the onsen was hot and peaceful. 10/10 for the kitchen. The dinner we had in a private room was absolutely delicious.”, “A truly wonderful ryokan experience with lots of lovely and unexpected touches that make it extra special”. The Ryokan Hodakaso Sanganoyu is as hidden as it can get, and it’s an absolute paradise once you step foot onto the picturesque grounds. It’s a 60-minute bus ride from JR Takayama Station and a 30-minute bus ride from the Kamikochi area, but this elusive location just adds to the enigmatic aura of this ryokan. 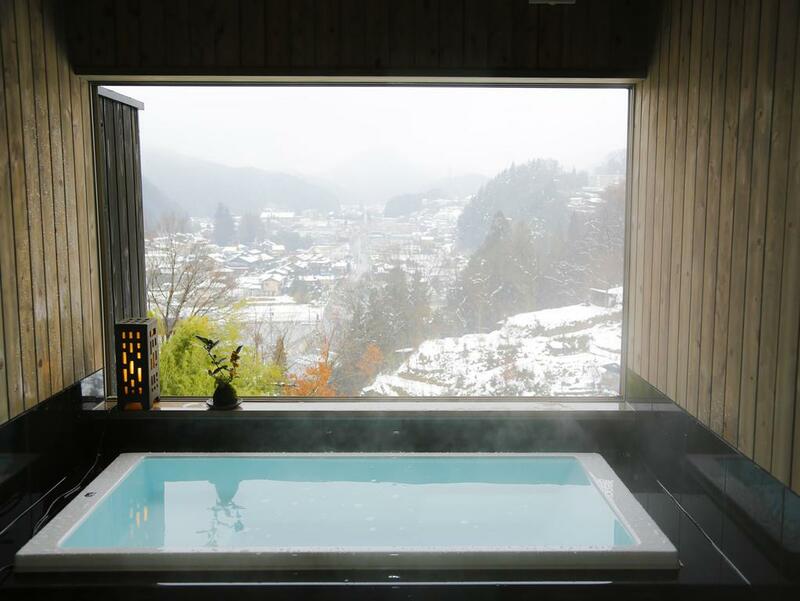 Quite literally settled amongst the Japanese alps, you’ll feel like you’re living out your dreams as you soak in the natural outdoor hot-spring baths overlooking the mountains. 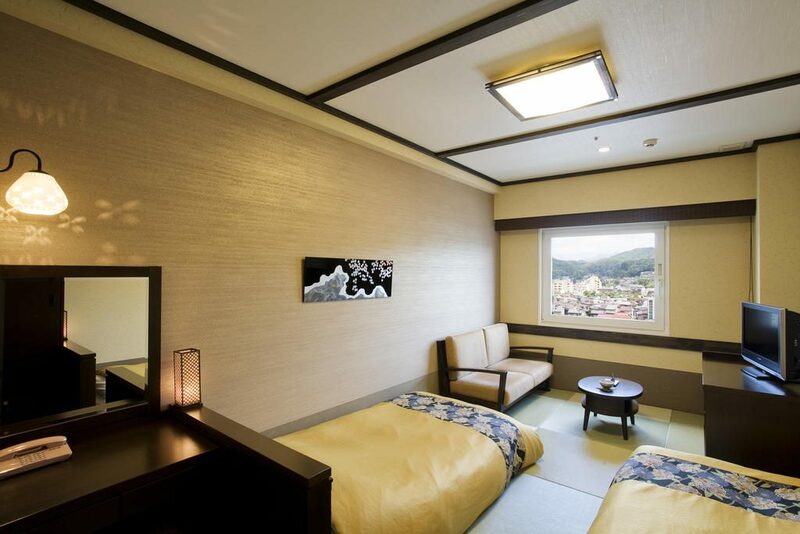 All spacious rooms featured shoji screens, tatami flooring, a full private bathroom with Western-style lavatory, futon bedding, and stunning mountain views. 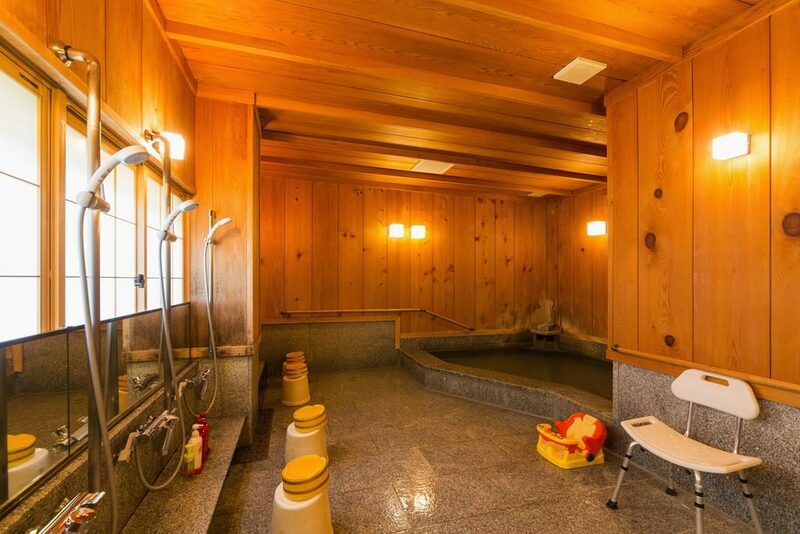 After (or before) your onsen bath, hop into the sauna or reserve a massage service for the full body experience. 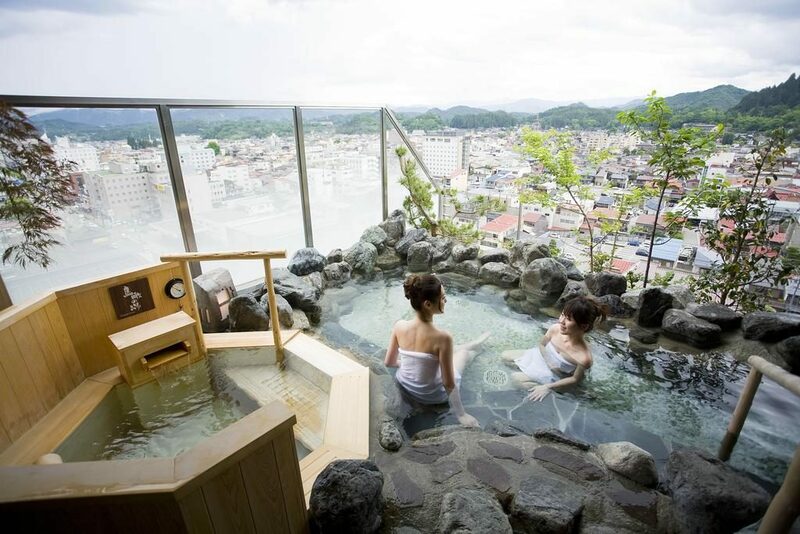 Why Guests Love It: “Very close to Hirayu Onsen bus station. Easy to take the bus for Norikura dake or Kamikochi. 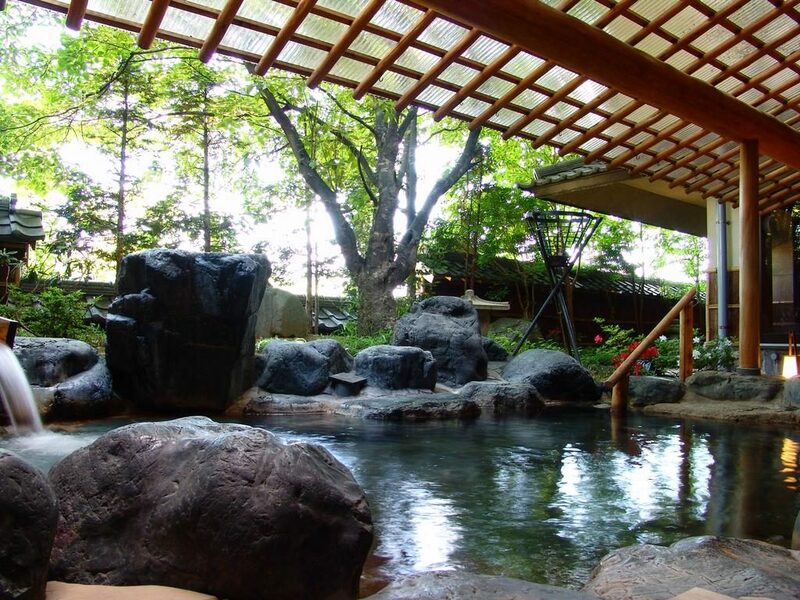 Feel relaxed in the large rooms and the onsen”, “This was a very special place to stay. It was a very Japanese experience but that made it extra great. We went in the traditional onsen, we had a traditional meal and breakfast, and slept in a Japanese-style room overlooking the snowy mountains. Everything was different to what we were used to but that made it feel like we were experiencing Japan at it’s finest”. 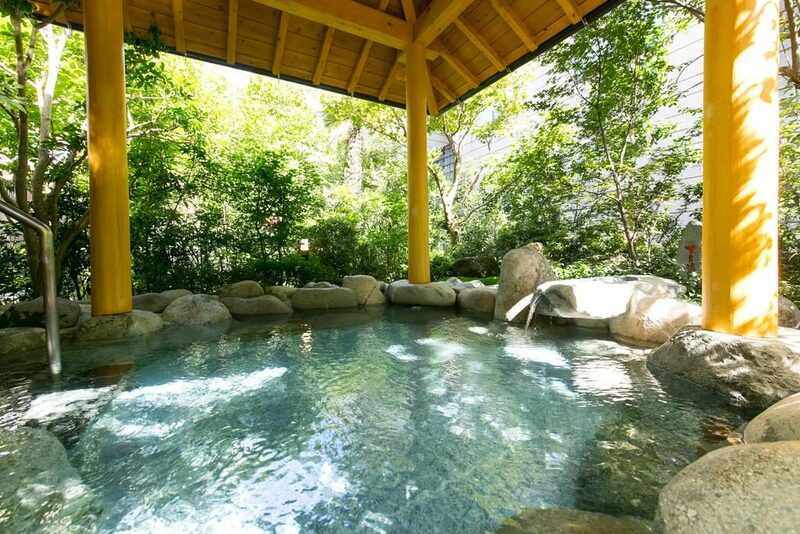 As one of (if not the) top-rated ryokan accommodation in the Gero Onsen area, it’s location of being 2-minutes away from JR Gero Station is already a dead giveaway that this is a fantastic choice. Boasting superbly authentic Japanese-style guest rooms modelled to drive a relaxing and peaceful ambience, no corners were cut during the creation of this family-run ryokan. 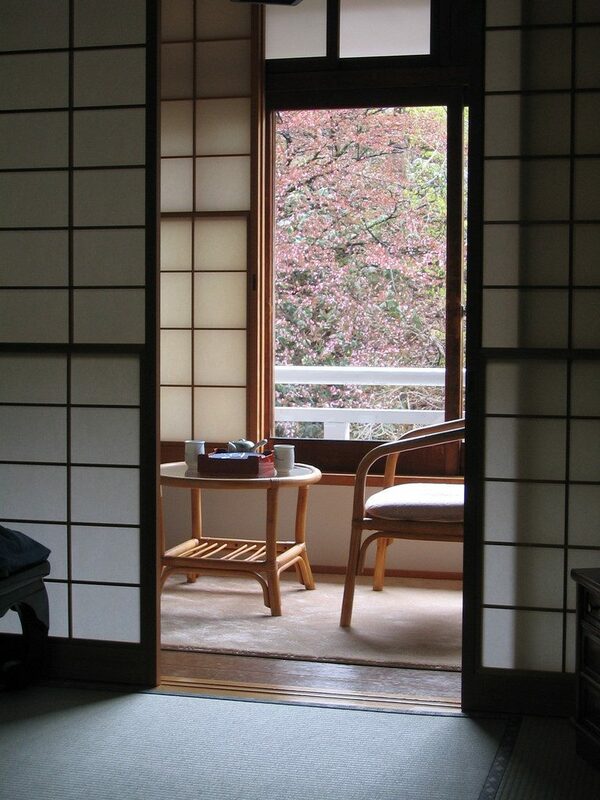 Wide windows, tatami flooring, flat-screen TVs, and yukata robes are but a few of the excellent features of this place. 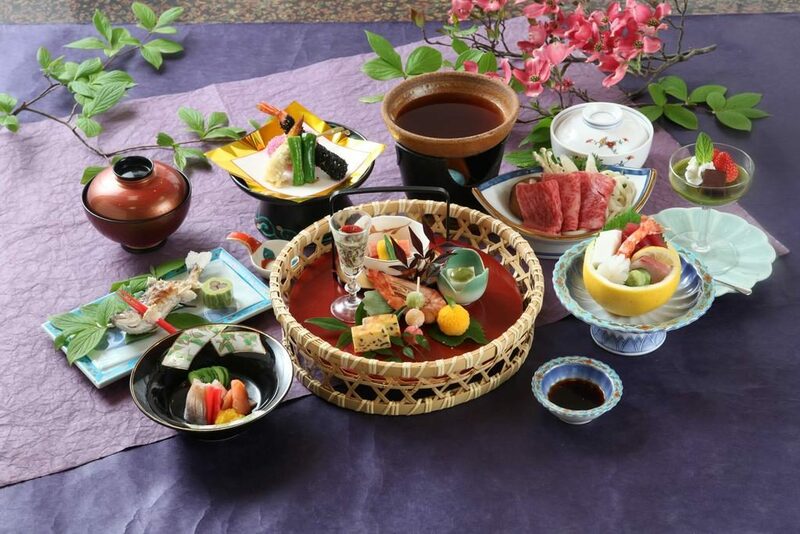 If you’ve got dinner included in your package, or you’d like to add it on, expect a top-level traditional Japanese multi-course meal featuring the special Hida beef (or pork). If you’re looking for ways you could pass time here, Hida-Osaka Waterfalls and Gandate-kyo Gorge is only a 30-minute drive away, and Hida Takayama area is only a 60-minute drive away (bonus for those with cars: free parking is provided!). It’s amazing how reading and viewing the images of these ryokans can make you feel: excited at the prospect of living like a true Japanese, in awe of the wonderful detailing that goes into even the smallest thing like the garnish on your kaiseki meal, nostalgia for a time you may not have even lived yet but feel like you miss, and longing for the relaxing onsens, fluffy futons, and mountain views you didn’t even know you needed in your life. We hope we’ve been able to shed some light on some of the best ways and places for you to experience ryokans. As we’ve said before, Takayama is a wonderfully (and relatively) off-the-grid area where you’ll truly be able to immerse yourself into the experience. 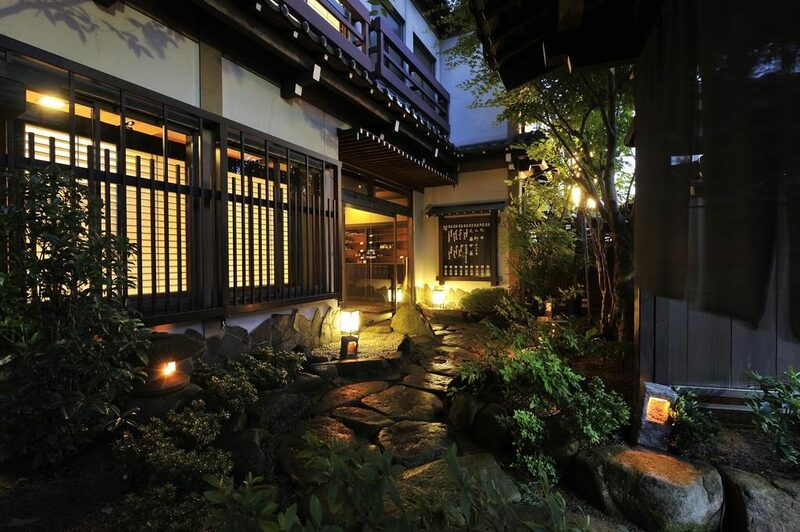 PS: Make sure you also check our complete Ryokan Collection for more recommendations all around Japan.